Today James Locke received update 2018.10.4 on their Model S 100D AP2 vehicle and he feels Tesla’s AutoPilot 2 has advanced significantly. 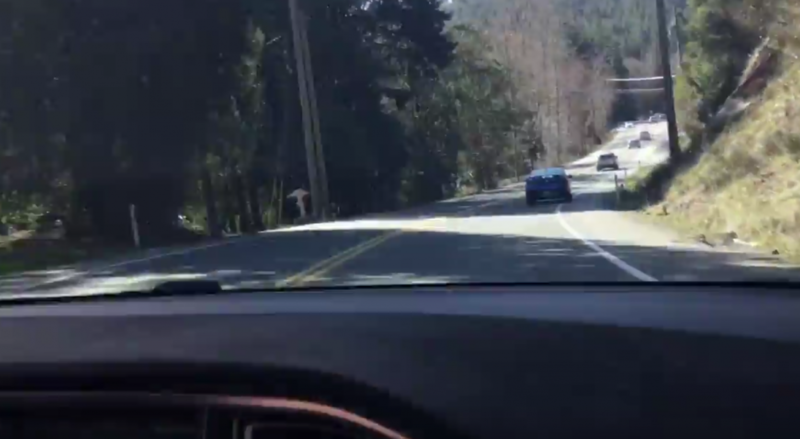 His daughter shot a five minute video of the new update handling Sooke Road westbound here in the Victoria region. James is excited to report that for the first time AP2 did really well on this difficult-to-navigate road. It handled sharp turns and two hills with no issues. He reports that AP2 has never completed the entire route unassisted before, however it just did with this latest update! Videos below show additional road tests of the hew AP2 release, and have both the road ahead and the AP2 graphics on the instrument panel. These give videos give you an idea of how smooth and confident Autopilot is now on a complicated BC road on Vancouver Island. Demo 5 is by far the most impressive in terms of complex turns with hills, however they all show areas that previously confused both AP1 & AP2.